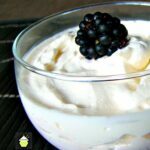 This recipe is a simple, No Bake, creamy piece of deliciousness! It’s packed with Blackberry and white chocolate flavour. Of course you can use any berries you like, and add your favourite chocolate. I love white chocolate, but you can use milk or dark, or even a mixture! Real easy and very quick to make! ***Hold back a couple of nice shaped blackberries for the garnish if you wish. When berries are not in season, I often use frozen ones & defrost them on kitchen paper. Always handy to have a bag of your favourite berries in the freezer! Instead of cream cheese and cream, you can use creme fraiche, marscapone, etc. It will still taste delicious! 1. Ok, this is real easy! In a deepish bowl, add the cream cheese and whip until fluffy. Then add the cream, whip up again until thick. 2. Add the blackberries, you can whip them or fold them in, if you fold them, you will have chunks, if you whip, they will puree in with the cream mix. Then add the chocolate chips and combine. 3. Taste the mix and add some Powdered sugar if needed. Usually 1 -2 Tablespoons. and whip it all together. 4. Transfer the mix to serving bowls or one big bowl and eat or chill for a few hours. If chilled, the mix will firm up a little, otherwise it’s also nice when it’s soft and oooey gooey! *** You can also add a layer of whipped cream on the top if you are feeling really wicked! Ok, this is real easy! In a deepish bowl, add the cream cheese and whip until fluffy. Then add the cream, whip up again until thick. 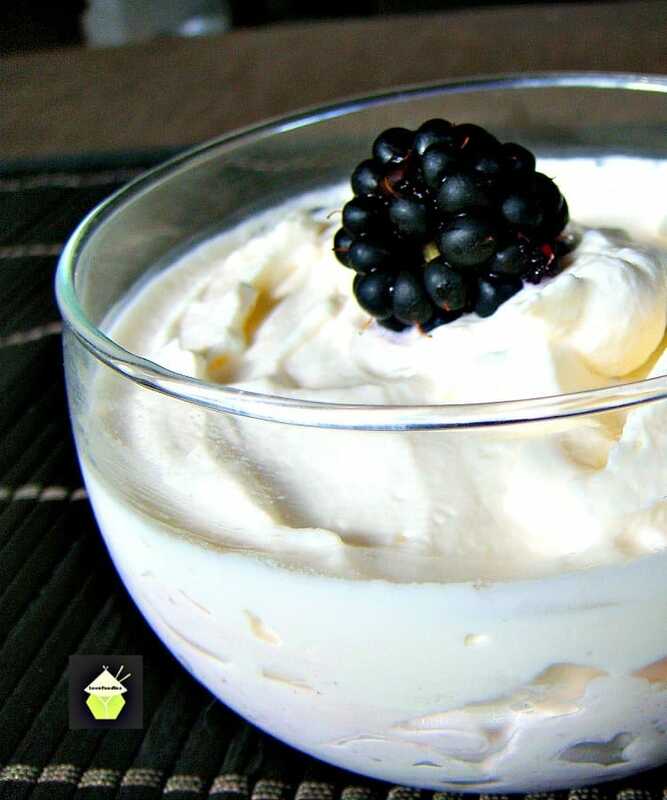 Add the blackberries, you can whip them or fold them in, if you fold them, you will have chunks, if you whip, they will puree in with the cream mix. Then add the chocolate chips and combine. Taste the mix and add some Powdered sugar if needed. Usually 1 -2 Tablespoons. and whip it all together. Transfer the mix to serving bowls or one big bowl and eat or chill for a few hours. If chilled, the mix will firm up a little, otherwise it's also nice when it's soft and oooey gooey!